Approximately two hundred lucky Granville students got to hear a talk/presentation by THE Lauren Oliver. If you weren’t one of them, head on over to Cover to Cover Bookstore in Clintonville for the 7:00 presentation and autographing, OR pose as a UA student tomorrow and sneak into their presentation. The students (and other lucky audience members) were treated to a humorous and inspiring talk, as well as getting time to ask many thoughtful questions. Her father is a published author, as well. Her best friends all have each other’s names tattooed on their bodies. Sorry Samantha Kingston. No one is going to be getting your name tattooed on them! Her parents wanted her to be a lawyer. She’s really glad she didn’t take their advice. If you haven’t checked out her blog, you should. Thank You Cover to Cover! Thank you GHS principal, librarian, and English teachers who took time to introduce your students to this great YA author, AND help them make a Brave New World connection! Check out this amazing hook! “It’s been sixty-four years since the president and the Consortium identified love as a disease, and forty-three since the scienctists perfected a cure. Everyone else in the family have had the procedure already. My older sister, Rachel, has been disease free for nine years. She’s been safe from love for so long, she says she can’t even remember the symptoms. I’m scheduled to have my procedure in exactly ninety-five days, on September 3. My birthday. I like the released cover better. It’s much more intriguing! 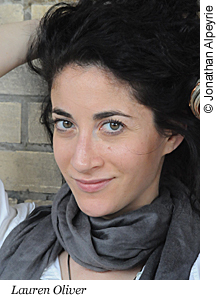 At 25 years-old, Lauren Oliver signed her first book contract for Before I Fall. It soon became a favorite of young adult audiences, bloggers, librarians, and booksellers. 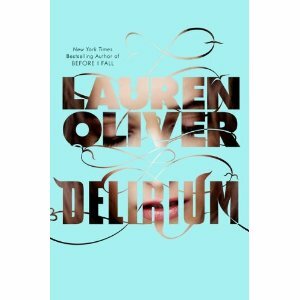 Lauren will visit Granville High School and Cover to Cover on February 7th to discuss her second book Delirium, set in a future world where love is considered a disease and one must take the “cure” at 18 years of age. 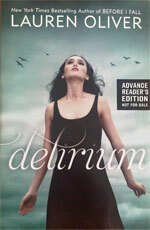 Both frightening and thought-provoking, Delirium is the first in a trilogy by this talented young author. You can also find the soundtracks that Lauren listed to go with her book. So intrigued by Delirium. Still thinking about it long after, just like Before I Fall. So excited to be in the countdown to having Lauren Oliver talking to some of our students Monday afternoon. So excited to share it all with you! I wasn’t too sure about reading an e-galley or any e-book on my laptop, but I thought I’d give it a try. A couple pages into Choker, and I was hooked. My puppies who are used to being able to sit in my lap while I read, were not happy that my lap was full of my computer. I would describe Choker a thriller/horror YA novel that I think will be a hit with readers who enjoy books such as Wish You Were Dead by Todd Strasser (see review), Thirteen Days to Midnight by Patrick Carman, or the Gone novels (see review). Cara’s childhood friend Zoe shows up just when she needs her most. The other girls are cruel and having great fun humiliating Cara with her newest nickname “Choker” based on an ill-fated carrot episode in the lunchroom. Their friendship was obviously flawed and gives off many warning signs. Like watching an accident, I read on, even though I was inwardly wincing every time Cara’s parents didn’t realize Zoe had moved in. 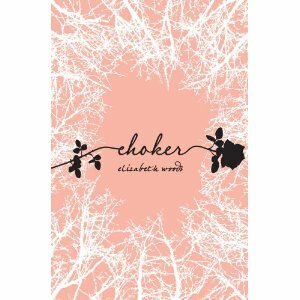 Cara’s crush on popular boy Ethan, wouldn’t amount to anything in many YA novels, yet Choker has Ethan and Cara moving closer together even as the end comes rushing up in a manner I never saw coming. Mark your calendar, buy Choker next week. I LOVED Before I Fall, Lauren Oliver’s first novel (review here). It was one of those books that I just could not stop reading or thinking about. I’ve given it as gifts several times to other YA lovers. My good friend Travis brought home an ARC of Delirium from NCTE for me and I savored having it on the bookshelf until winter break started. Set in the future, love is considered a disease. All citizens have a procedure upon turning eighteen to prevent them from “catching” the disease and experiencing the terrible side effects. Lena makes the unfortunate mistake of falling in love with Alex. Terrified of being caught, Lena and Alex have to hide their feelings from everyone. Stated to be the first in a trilogy, I look forward to everyone of the books! Lauren Oliver is on my watch list for any future books.